I'm almost caught up! Wednesday's necktie is another Jos A Bank Signature. I'm not really sure if the pattern is hearts or clovers. I guess it doesn't really matter. I had a difficult time conglomerating this one but finally settled on the blue and navy windowpane dress shirt and tan sportcoat. 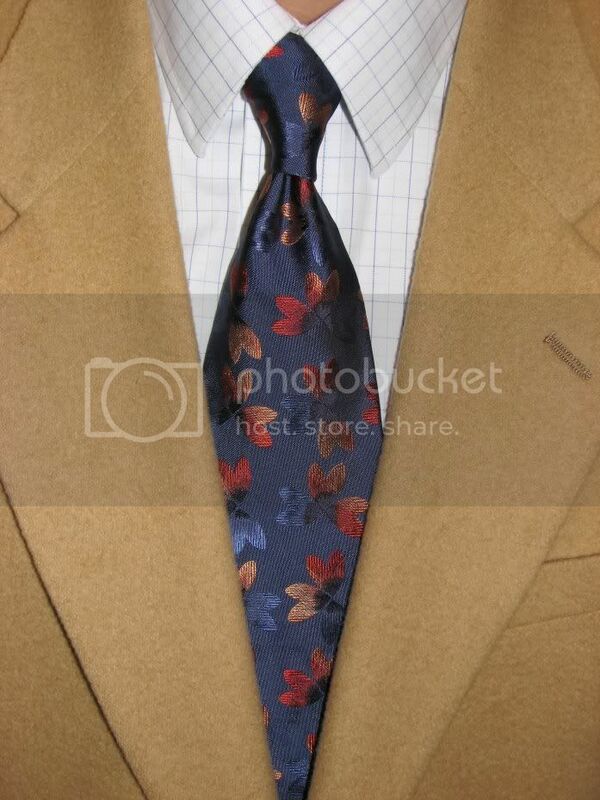 I had considered several other blue options for both the dress shirt and coat but decided against being that blue. Now, to be completely honest, I'm not wearing the coats in the pictures anymore. It's too warm to be coated and tied. I take the picture with the coat I would have worn with the conglomeration had it been more conglomeration type weather.